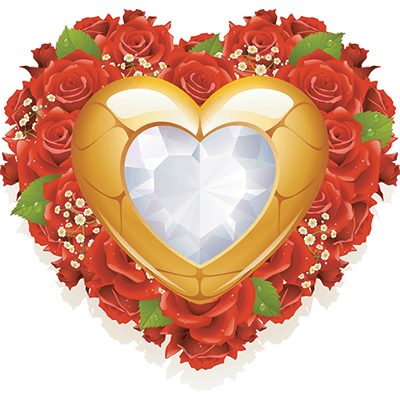 This extraordinary emoticon features a diamond center and an ornate display of roses. With flashes of Victorian inspiration, this image is a class act. 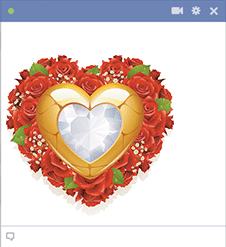 You can share it with someone you love or would like to love on Facebook! Our collection is filled with a delightful array of gorgeous valentine images.